Hi, I’m Saundra Davis, SaverLife’s financial coach. Let’s talk a little bit about the golden rule of saving: pay yourself first. So many people say, “I’m going to wait and save after I’ve paid all my bills and I’ll save what’s left,” but we all know what happens then. Very seldom is there anything left. 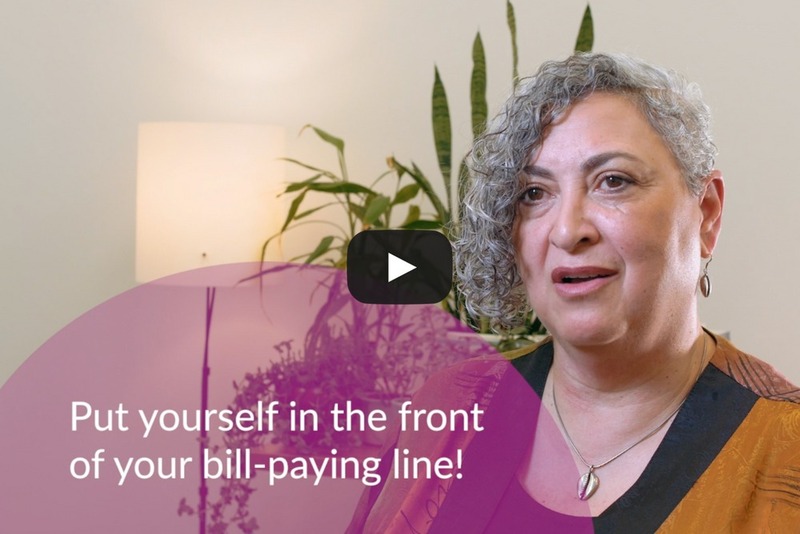 So the idea of paying yourself first is to prioritize taking good care of your financial future by putting yourself in the front of your bill-paying line. That’s right, sometimes it’s even helpful to think about paying yourself as a bill that you pay, putting a little bit aside each month. It doesn’t even really matter how much it is. What’s most important is creating the habit. And that’s really what SaverLife is all about. How do you create a habit of saving that supports your financial goals, both now and in the future?